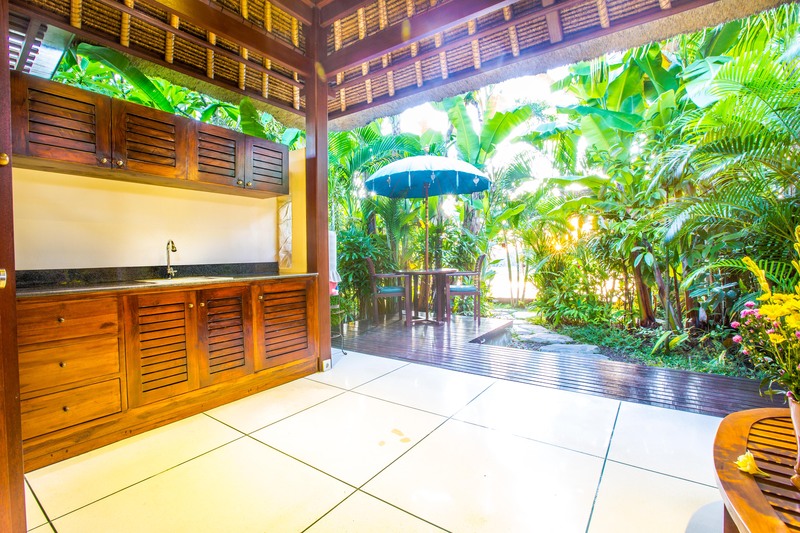 This Villa hideaway is a gorgeous one bedroom for up to two people with en-suite garden bathroom and kitchen. 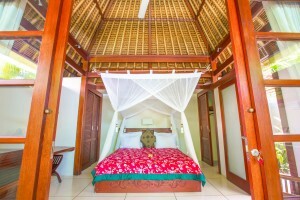 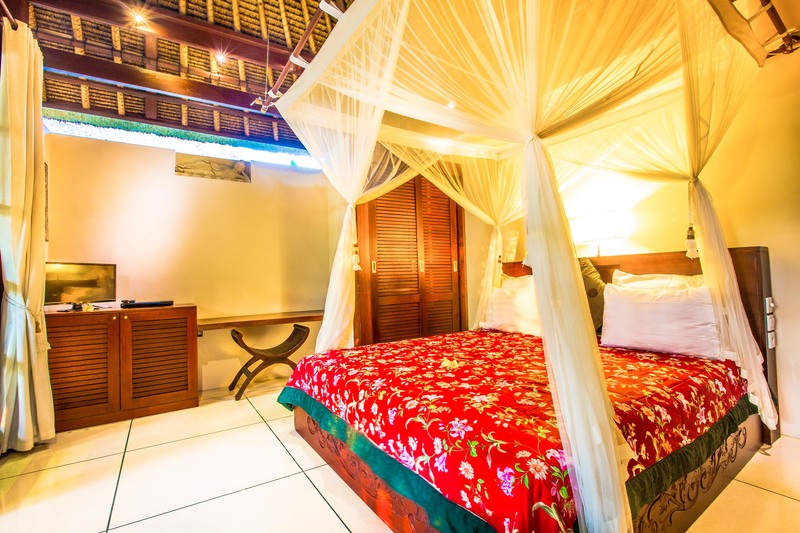 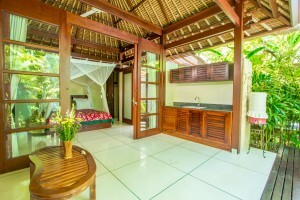 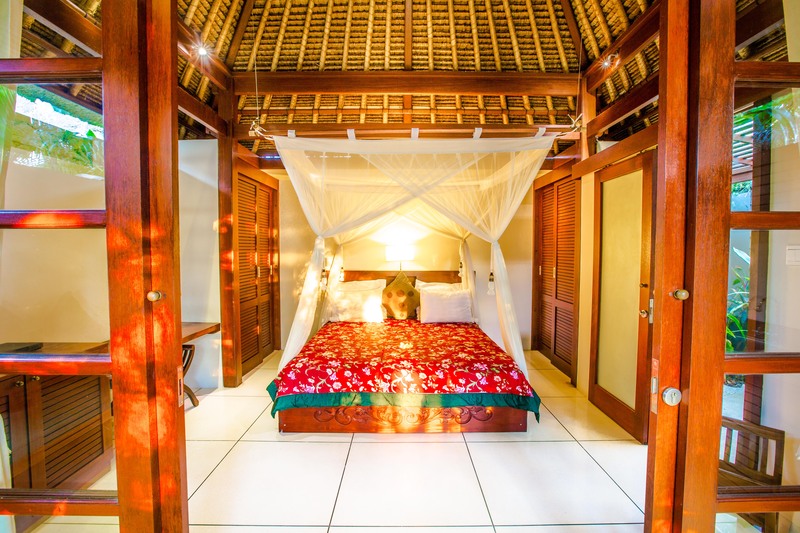 The villa has a spacious bedroom leading to a lovely garden bathroom of terrazo and granite featuring a rain shower. 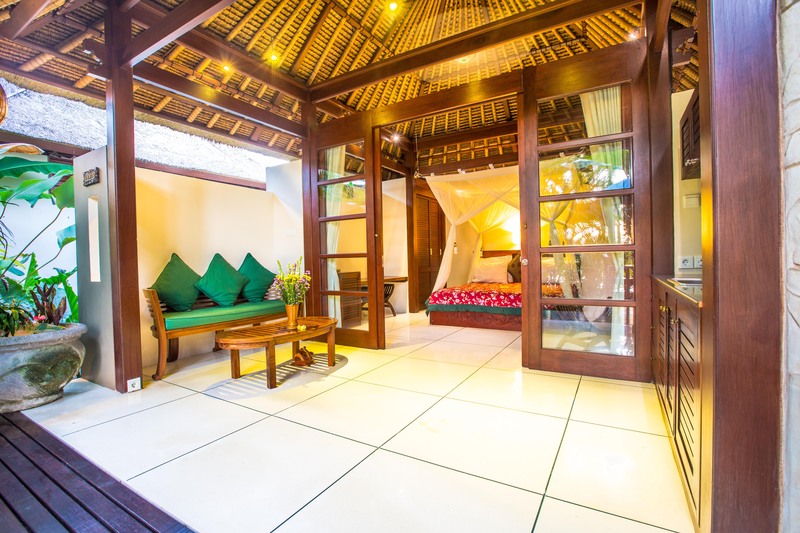 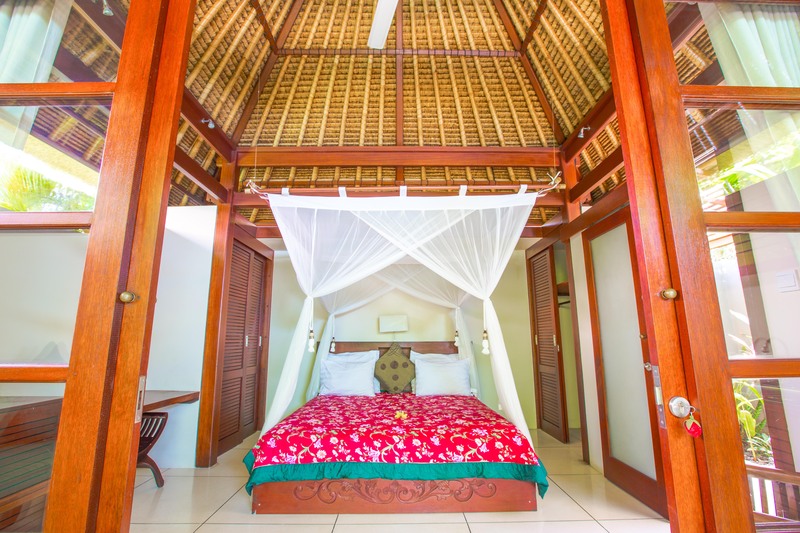 Located with a gorgeous view to the west and surrounded by gardens on both side it’s also between the two other one bedroom villas so it can be occupied separately or as an additional bedroom for your party in any of the other villas. 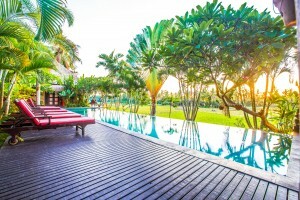 Steps away from the infinity pool it includes a private sitting/lounging area and private garden patio deck. 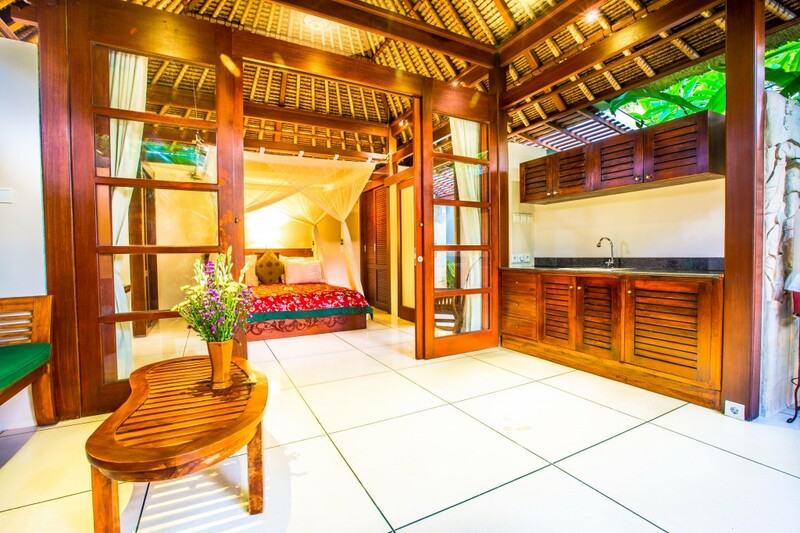 Perfect for enjoying your morning coffee! The gorgeous 15 meter infinity pool on the edge of the rice fields is only steps away through Harmony’s lush landscaping. 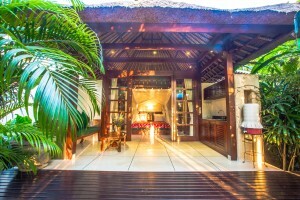 Your villa stay includes free wifi, a laptop sized safe, fully equipped kitchen, towels, TV/DVD, free parking, laundry (by arrangement), daily staff service, a yoga deck, sun loungers and the priceless ambience of the Harmony lifestyle. 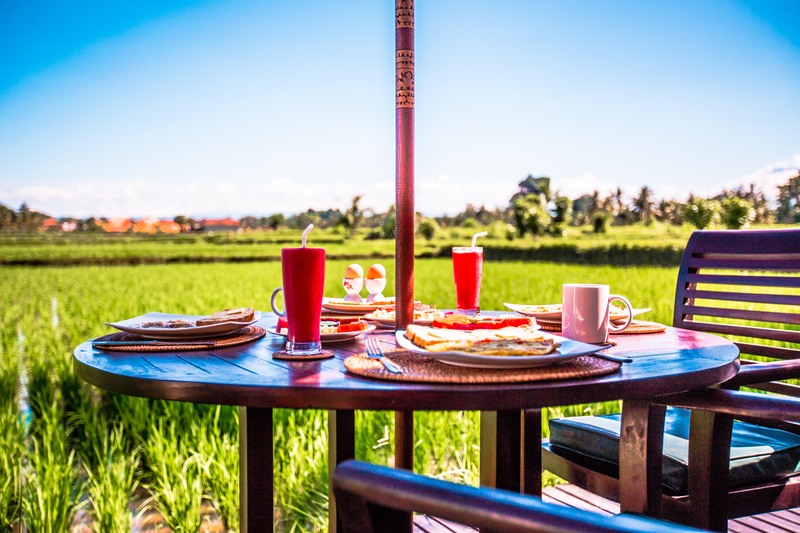 We can arrange for a daily cooked breakfast (at an additional charge) to be prepared in your villa each morning of pancakes, omelettes, fresh fruit, tea and coffee. It’s delicious!